Port District located in Tracyton, Washington, in Kitsap County. On June 1, 1929, voters in Tracyton approve the formation of the Port of Tracyton. Members of the Tracyton community, an unincorporated area of Kitsap County on Dyes Inlet, petitioned the Board of County Commissioners for the election in order to allow the purchase of a dock on the Tracyton waterfront. 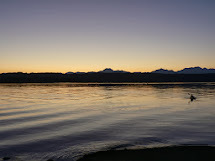 The dock will be used to facilitate access to Mosquito Fleet steamers that connect the area to downtown Bremerton, just across the Port Washington Narrows, and other towns on Puget Sound. But a year later the Manette Bridge will open and connect the Tracyton area with downtown Bremerton, decreasing use of the steamers. For several decades the port district is inactive except for providing access to the beach and to a boat launch. In the 1990s an effort is made to dissolve the Port, which culminates in a controversy among board members in 2002. The Port remains intact and in 2008 Tracyton voters approve a measure to expand the port district in order to increase the tax base and fund a series of projects that will enhance the community's waterfront facilities. In 2010 the Port is working to fund a new boat launch, a landing area for non-motorized boats, and picnic facilities. All public ports are required to alter their district boundaries within the year after the Federal Census if the population is found disproportionate. The Port of Tracyton postponed plans for redistricting pending the outcome of Proposition 1 to enlarge the total area of the port. With the failure of Proposition 1 the Port of Tracyton commissioners will examine the current census data and decide where district boundaries will be altered. Those living within the Port of Tracyton are encouraged to be part of this process by attending the next meeting, rescheduled for November 16th. You can access the census data and the map prepared by the commission by selecting them from the right-hand column under Port Documents Archive. Port commissioners meet at 6 p.m. on the second Thursday of each month in the meeting room of the Tracyton Community Library, 351 NW Tracy Ave. The public is encouraged to attend. 5/31/12 Is Kitsap becoming kayak capital of Puget Sound? Website constructed by Ken Jarstad and Martha Dalbeck. Simple theme. Powered by Blogger.